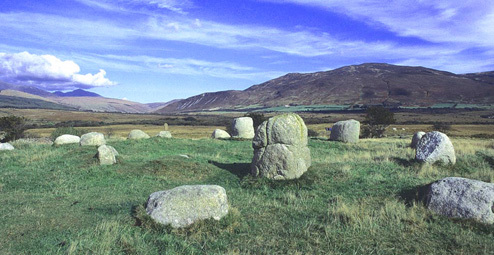 Machrie Moor is a landscape rich in prehistoric archaeology. The most fascinating monuments date to a time when the moor was a centre for ceremonial and burial activity. This period spans the Neolithic to the early Bronze Age (about 3500 to 1500 BC). The most prominent features are the six stone circles themselves. But the moor is strewn with other precious remains, including standing stones, burial cairns and cists.